English Mustard – I thought it was grainy mustard.. oops! Regardless, it came out pretty delicious! 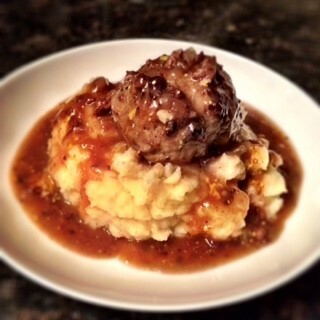 I now understand why meatballs in gravy are a British comfort food. 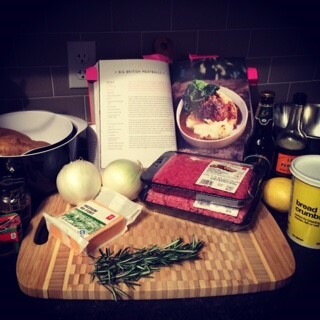 This recipe was simple enough, but there were a lot of steps. It did take me 2 hours from start to end. I like to do my prep at the very beginning, that way when it comes time to cook, I don’t need to do any chopping and what not. 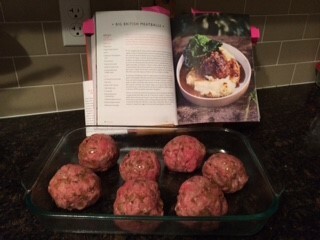 Next time, yes there will be a next time for this recipe, I’m going to put larger chunks of cheese in my meatballs, and buy the right ingredients. So far, my challenge is going well, it’s only been 1 day, but I like to be hopeful! 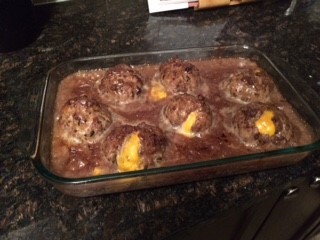 Some of the cheese oozed out.. but still so good! 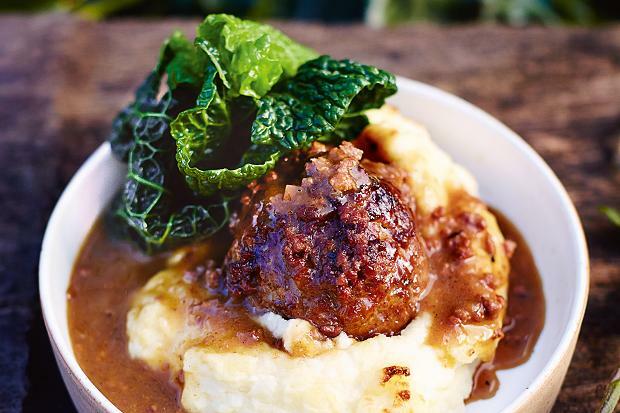 Jamie Oliver’s Big British Meatballs – looks pretty close!